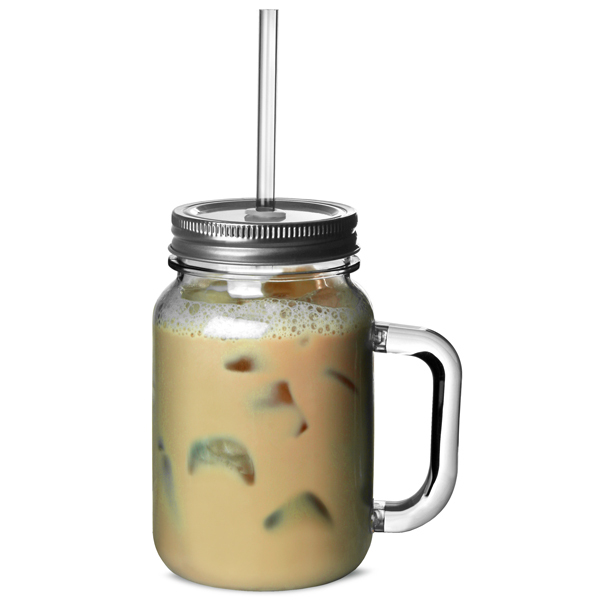 Now you can take your favourite drinking vessel with you everywhere you go with the Plastic Mason Drinking Jar Glasses from bar@drinkstuff. 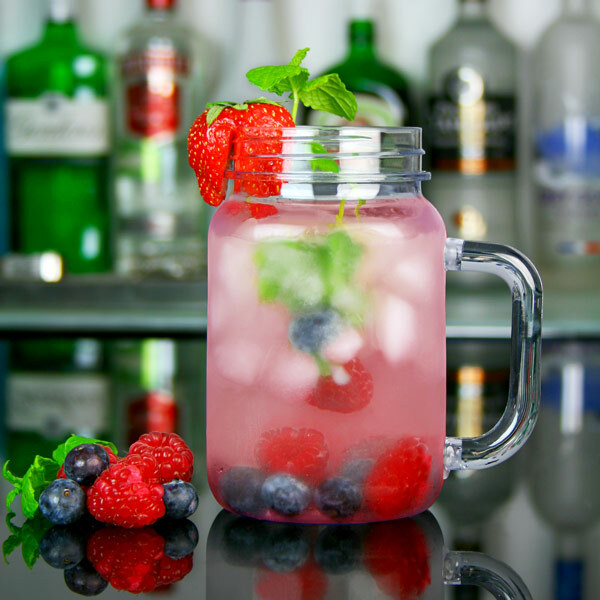 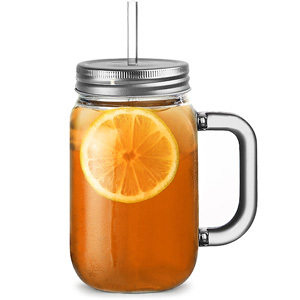 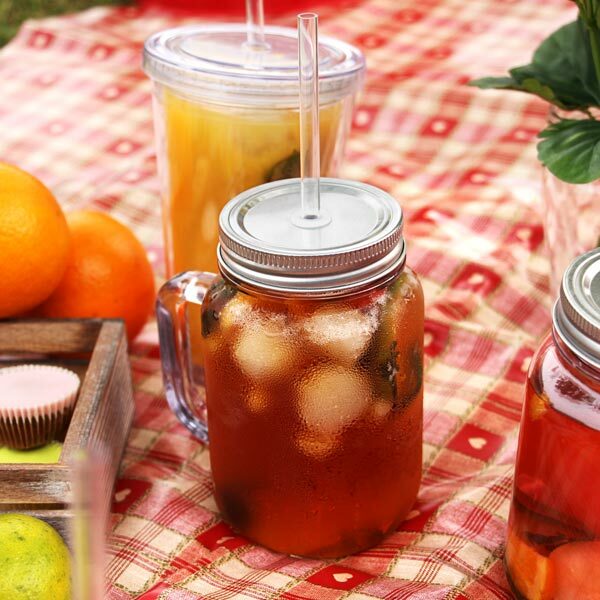 Styled like a classic American Mason jar and finished with a handle, these novel glasses are a great way to enjoy a refreshing cocktail, soft drink or juice. 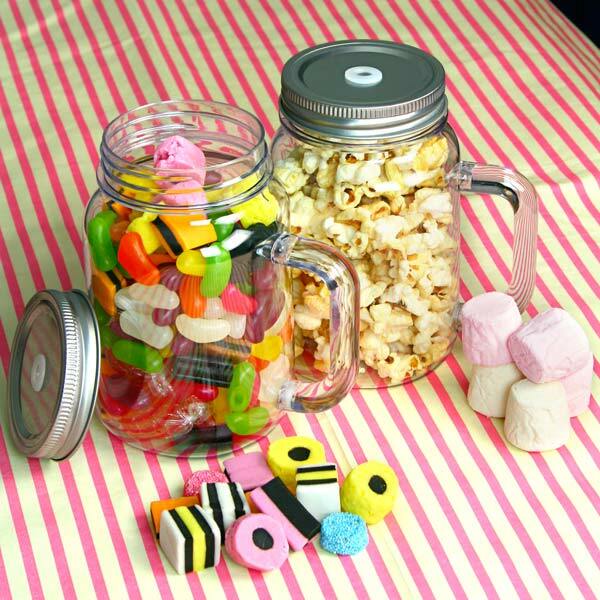 The SAN plastic construction ensures these glasses can be enjoyed by kids and adults without the worry of glassware breakages. 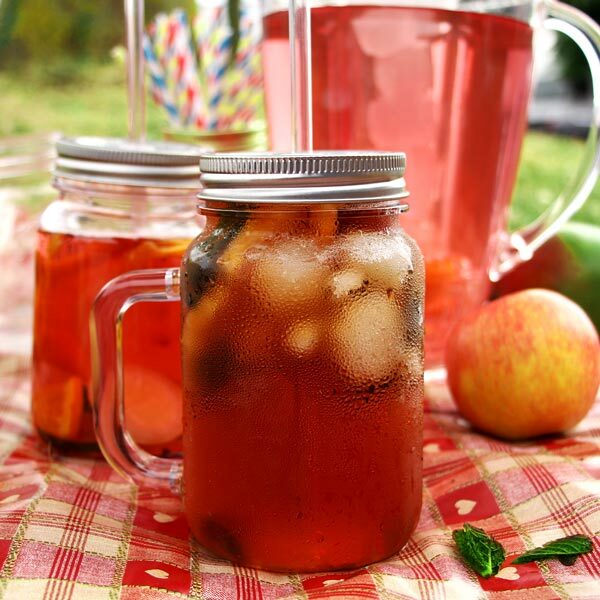 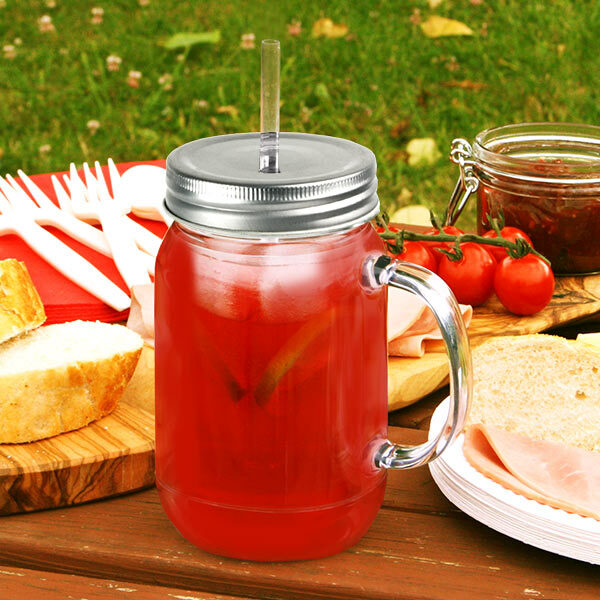 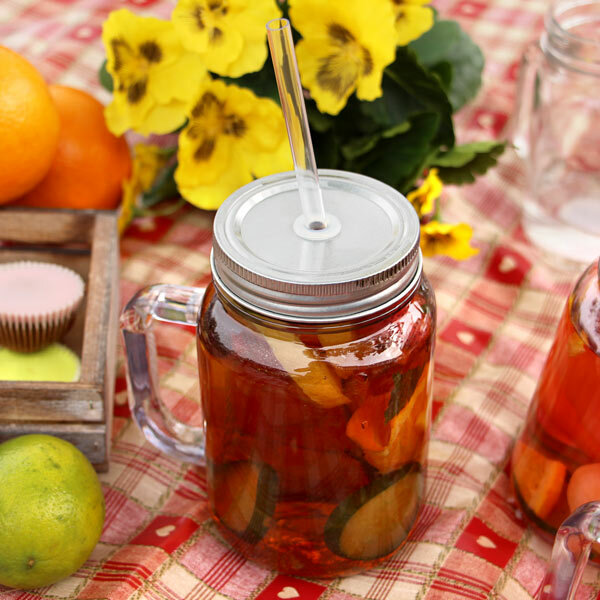 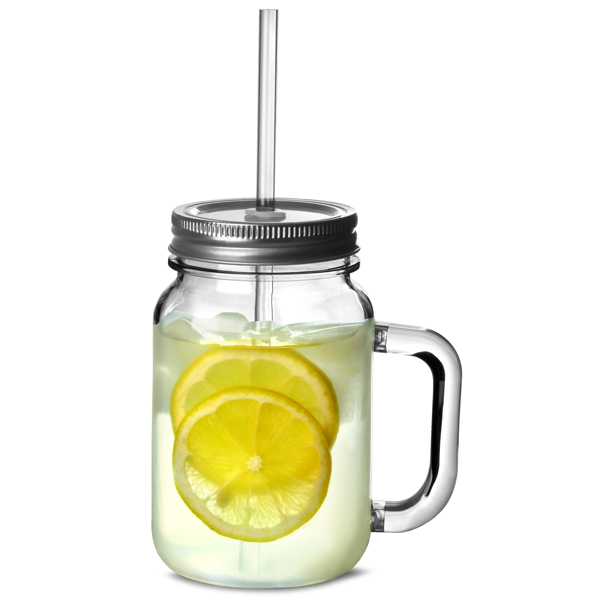 Complete with a silver lid and reusable drinking straw, these jam jar glasses are perfect for outdoor BBQs, picnics and dining, and when you're on the move. 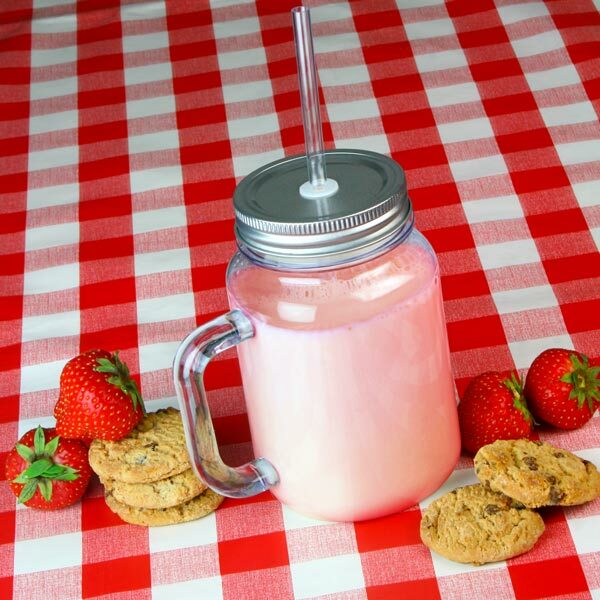 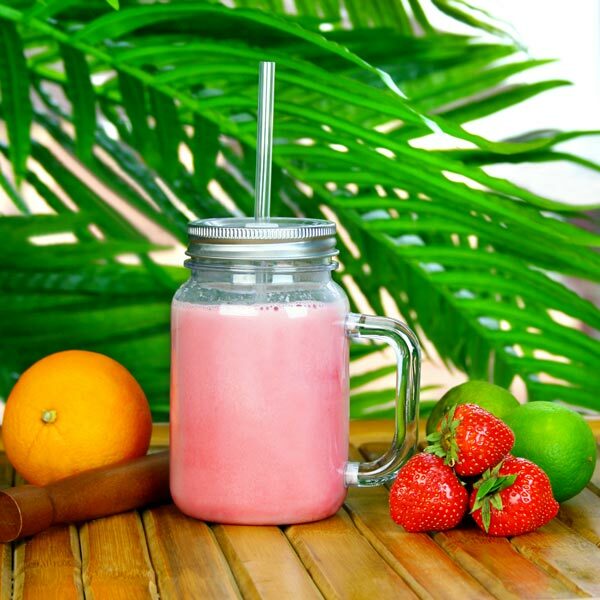 "Excellent item, made from strong durable plastic, nice strong plastic straw provided, intend to fill with goodies for the grandchildren for Christmas, I am sure they won't be disappointed."